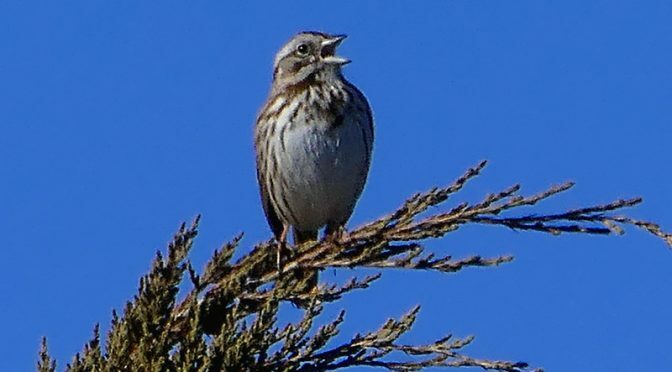 Song Sparrow Welcomes Spring On Cape Cod! We’ve had several Song Sparrows at our feeders the past few weeks. It is such a joy to wake up to their beautiful song outside our bedroom window. Have you heard the Song Sparrow yet this spring? Previous PostEarly Morn At Lecount Hollow Beach In Wellfleet On Cape Cod.Next PostWaiting For Summer In Wellfleet On Cape Cod. Just looking at this photo, I can hear him! Thank you!